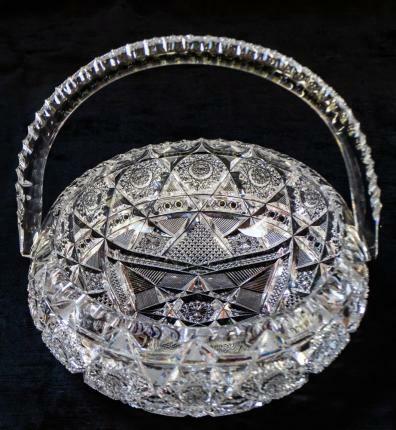 This extremely unusual basket, which rolls over, was cut by J. Hoare in their Marquise pattern. 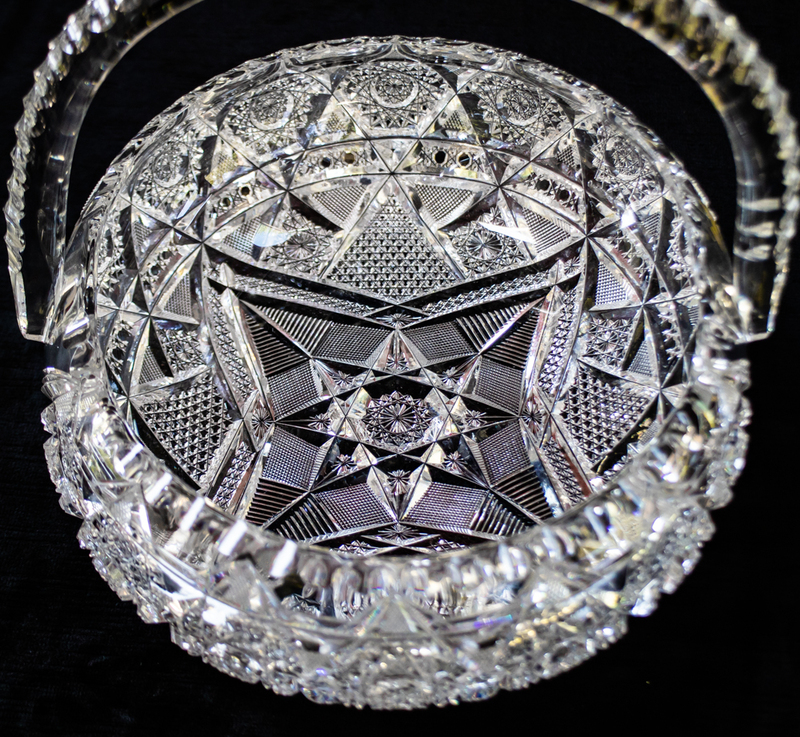 The quality of this pattern varies from piece to piece, but this example is of the highest quality – with a shine and clarity unlike most. The center of the basket features an unusual hobstar formation – surrounded on all sides by diamond-shaped fields of crosshatching. The crosshatching fields to a split-feather type of cutting which is then framed with an unusual crosscut band that you can find on some of Hoare’s more unusual designs. Layered above that are flat hobstars and hobnailed fields. 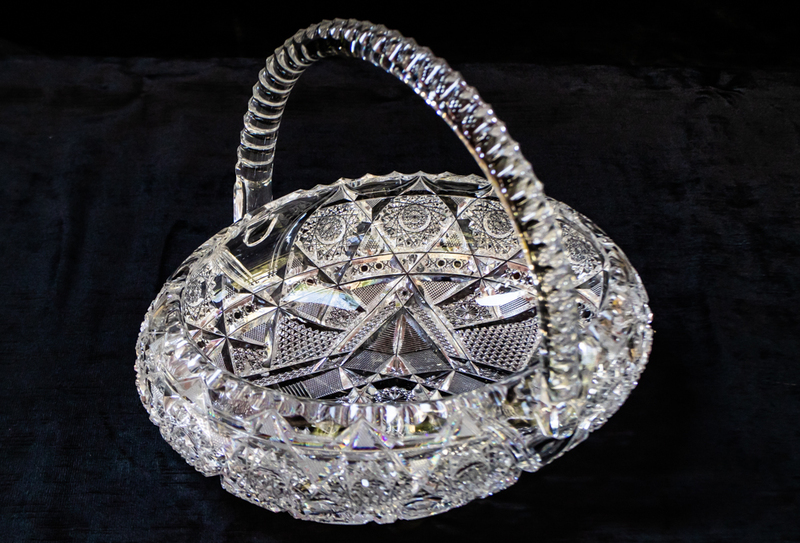 The rim of the basket features deeper hobstars with crosshatching sitting atop a band of cane cutting. 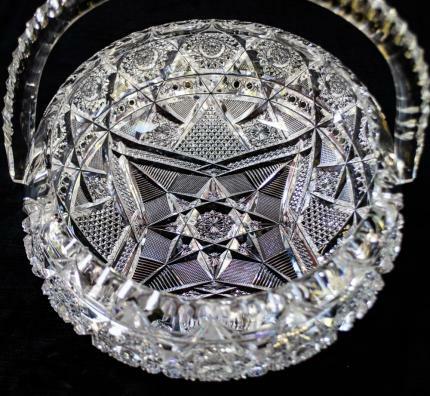 The amount of cutting and motifs on the bowl is staggering! The handle is perfectly annealed and triple notched. The basket is in stunning, perfect condition. It measures 10″ long and 8″ wide.